We’ll Make Your Move to or from Holly Springs Effortless! If you’re looking to move out of or into Holly Springs, there is no need to worry about all the little details of moving. Marrins Holly Spring Movers helps you move effortlessly. We understand the home moving process and are proud to provide our customers with a personalized and unique service that caters to all their needs. We make the home moving process affordable, simple, and stress-free so that you can enjoy peace of mind when you’re relocating. We offer a variety of time-saving services to help you get your moving project underway and out the door. The hardest part for most movers is figuring out what to start and how to get an effective plan together so items are moved securely and quickly. That’s where we come in. With over 20 years in the moving industry, we can do it faster, safer, and better than any other moving company in the Triangle area. See a little more about what we offer to residential and commercial movers below. When you’re moving from your home, one of the most annoying things to do is packing everything up. If you don’t like packing or don’t know how to organize and pack your stuff when you’re moving, you don’t have to worry anymore. Marrin’s Holly Spring Movers will help you pack and organize your things before your move. This is done to ensure that you don’t have to worry about packing or get your hands dirty. Just let the professionals do their job, while you can sit back and relax. If you’re looking to move in or out of Holly Spring in one day, then you have come to the right place, because Marrin’s Holly Spring Movers will help you do that. We are experts in same-day moving services and can easily arrange for a move in one day for you. Moving in one day is stressful and hectic, which is why most people don’t prefer to do it, but sometimes you simply have no other choice. This is where we come in to save the day, since not only can we help you move within a day but will do it without facing any hassles at all. One of the best things about hiring Marrin’s Holly Spring Movers is that we are movers that you can trust. We make sure that we meet all the expectations of our customers and never leave any room for complaint. We have been in the industry for some time and have helped countless people move into or out of Holly Spring. We are professionals who love to provide our clients with high quality, affordable and trust-worthy moving services. 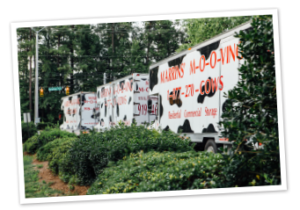 So if you’re looking for a moving service in Holly Spring, make sure that you contact Marrins Holly Spring Movers.